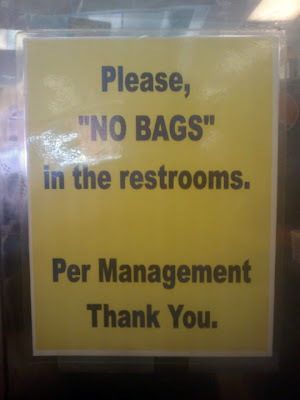 I guess garbage bags are ok? Thanks, Jon-Anthony. Perhaps there was some 'business' going down in the restrooms?